If you've been curious about switching your home network setup over to a mesh router system, this deal might be worth a look. The Linksys Velop Tri-Band Whole Home Wi-Fi System is on sale at Costco now for $150 off the retail price of $499.99. That makes it just $349.99 for a setup with four nodes, thanks to instant manufacturer's savings. The offer is valid now through Nov. 26, or Cyber Monday to the rest of you deal-hunting fanatics, and you must be a Costco member to purchase one. There's a limit of three per member as well, though you'll get by just fine with one unless you live in a mansion or something. 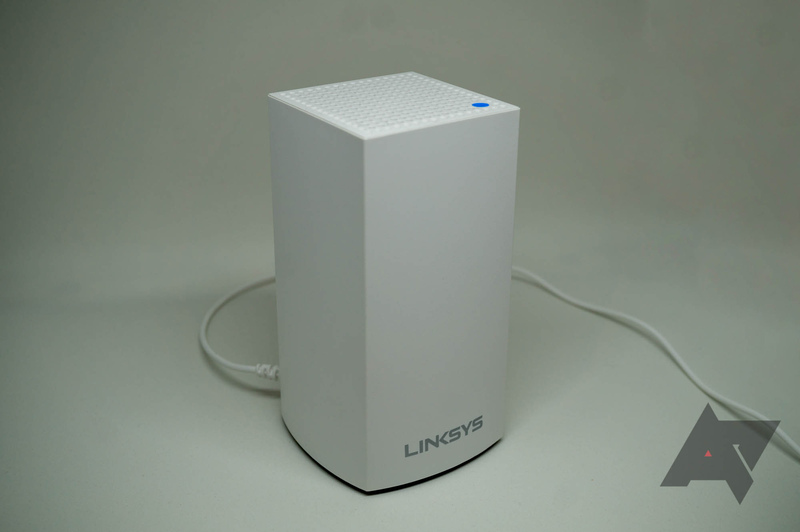 Each node offers up to 2,000 square feet of coverage, with an accompanying Linksys app to help set things up and control various settings for the system. It can work with Alexa and is backed by a 3-year limited warranty with the option of 24/7 tech support. We reviewed the dual-band version of Velop's system and came away mostly impressed with its performance, despite some issues with slower speeds on the secondary nodes. 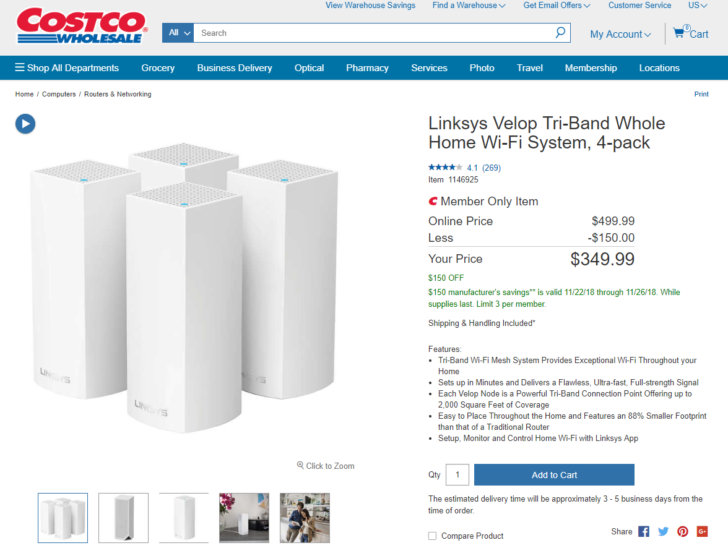 Looks like a great deal for the tri-band configuration, for sure.